This issue, while old, is still an invaluable resource on Book of Mormon apologetics. As such I have recommended almost every single review from this issue. 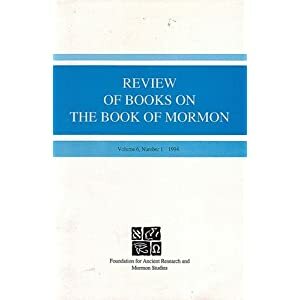 Each of the reviews is a response to one or more of the essays included in Brent Lee Metcalf’s anthology New Approaches to the Book of Mormon. 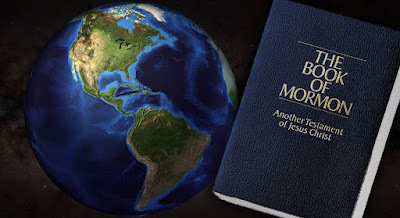 Although they are all about the Book of Mormon, they still cover all kinds of different aspects, such as the Sermon on the Mount/Temple, Mesoamerica, Christology, demographics, linguistics, text criticisms, Mosiah first theories, the Nephite sacrament, and other details. John A.Tvedtnes, review of Brent Lee Metcalfe, ed., New Approaches to the Book of Mormon: Explorations in Critical Methodology (Salt Lake City, UT: Signature Books, 1993), pg. 8-50: Tvedtnes provides a bit of an overview, briefly critiquing each essay, some more or less than others. Although, due to its brevity, it is not as detrimental to the various contributions as the other reviews are, Tvedtnes nonetheless supplies sufficient reasons to question the conclusions drawn by the various authors. It should be noted that Tvedtnes’s review, although critical, is rather friendly and good natured towards those whom he is critiquing. John Gee, “La Trahison des Clercs: On the Language and Translation of the Book of Mormon,” review of some of the essays in and related to Metcalf, New Approaches to the Book of Mormon, pg. 51-120: After variously discussing the approaches and methodological (and other) problems with a handful of the essays in the this volume, Gee zeros in on Edward H. Ashment’s paper, “‘A Record in the Language of my Father’: Evidence of Ancient Egyptian and Hebrew in the Book of Mormon,” while still incorporating criticisms of other contributions as is fitting for the issues he is discussing. Gee is decidedly more polemical then Tvedtnes, as he passionately rips Ashment’s thesis to shreds. While the polemical tone is likely to (and has) caused some to dismiss Gee’s critique, such is unfortunate as he provides deft arguments, and supports them through rigorous documentation. Gee has blown some serious holes in the work of Ashment and a few of the other contributors, and before accepting their theories, one needs to consider, and deal with, Gee’s arguments. Royal Skousen, “Critical Methodology and the Text of the Book of Mormon,” a review of some of the essays in Metcalf, New Approaches to the Book of Mormon, pg. 121-144: Skousen examines some of the claims made by contributors to New Approaches in light of their assumptions regarding textual criticism compared to what verifiable textual trends indicate. He also response to some related issues, such as the italics in the KJV and how they relate to the differences in the Book of Mormon text, and non-English Hebraisms. Given his focus on textual criticism, its no surprise that his critique focuses on the papers that focus or hinge on textual arguments. Like Tvedtnes, Skousen is cordial in his criticism. John W.Welch, “Approaching New Approaches,” a review of Stan Larson, “The Historicity of the Matthean Sermon on the Mount in 3 Nephi,” and David P. Wright, “ ‘In Plain Terms that We May Understand’: Joseph Smith’s Transformation of Hebrews in Alma 12-13,” in Metcalf, New Approaches to the Book of Mormon, pg. 145-186: After Welch makes some general comments and observations, he addresses the arguments made by Larson and Wright, which assert that Joseph Smith plagiarized the Book of Mormon and used various passages from the KJV New Testament to do so. Welch first focuses on Larson, noting that seven of Larson’s differences are overstated, and have virtually no impact on the meaning, and that the most significant difference (the doxology of the Lord’s Prayer) has good supportive evidence from other early sources. In the end, Welch graciously calls the duel between he and Larson a “draw.” However, I feel Welch has understated his case. I think Welch shows that Larson’s evidence fails to adequately support the conclusions he calls for, and that the minute discrepancies between the BoM Sermon and the early textual evidence is insufficient grounds to reject the Book of Mormon’s authenticity. With Wright, Welch shows that the parallel’s Wright points to from Hebrews 3 and 7 are also present in Psalm 95 and Genesis 14, as well as other Old Testament sources, which could have been available to Alma via the brass plates. Indeed, Welch even argues that the Old Testament sources provide a better explanation for the parallel themes and motifs. Robert L. Millet, “By What (Whose) Standards Shall We Judge the Text? A Closer Look at Jesus Christ in the Book of Mormon,” a review of Melodie Moench Charles, “Book of Mormon Christology,” in Metcalf, New Approaches to the Book of Mormon, 81-114, pg. 187-199: Millet argues that the notion of letting the text “speak for itself” is empty and meaningless, and contends that with more than just a superficial reading of the text, one can gain deep meaning from the teachings about Christ found in the Book of Mormon and the early teachings of Joseph Smith, which meaning is congruent with modern LDS Christology. Millet likewise argues that it is wrong to assume that the ancients lacked the knowledge and understanding that we have. Louis Midgley, “The Current Battle over the Book of Mormon: Is Modernity Itself Somehow Canonical?” a review of Anthony A. Hutchinson, “The Word of God Is Enough: The Book of Mormon as Nineteenth-Century Scripture,” in Metcalf, New Approaches to the Book of Mormon: 1-19, pg. 200-254: As is often the case, Lou does more story telling than critiquing, and many of the stories are not even about Hutchinson! But they offer some good background info, and ultimately Midgely points to the problems with Hutchinson’s position, his inconsistency, and where such “modernity” is bound to ultimately lead. James E. Smith, “Nephi’s Descendants? Historical Demography and the Book of Mormon,” a review of John C. Kunich, “Multiply Exceedingly: Book of Mormon Population Sizes,” in Metcalf, New Approaches to the Book of Mormon, 231-267, pg. 255-296: After critiquing Kunich’s very bad methodology and estimates, and also noting the possibility of other people in the land and pointing out that we must beware of exaggeration (as it is standard in ancient population claims), Smith offers his own demographic analysis, suggesting that for the most part Book of Mormon populations are within reason (though perhaps stretching the outer limits of it). Smith only deals with Nephite populations, and does note that depending on the how one interprets some ambiguous information, the Nephite population at the final battle (if the higher estimates are accepted) are improbable (as would be the higher estimates for the Mosiah period as well). But those problems can be resolved if we allow for the presence of others, and some exaggeration (my opinion, not Smith’s; although he may not disagree with this view, he simply does not say). John L.Sorenson, “Viva Zapato! Hurray for the Shoe!,” a review of Deanne G. Matheny,“Does the Shoe Fit? A Critique of the Limited Tehuantepec Geography,” in Metcalf, New Approaches, 269-328, pg.297-361: Sorenson comes away fairly disappointed with Matheny’s critique, feeling that her training and expertise could have – and should have – allowed her to make a much more substantive critique. As it is, her arguments were, in Sorenson’s assessment, superficial. He responds to them by frequently just restating the original argument, attempting to clarify it, and updating it with more recent information (which, at this point, isn’t particularly recent anymore). None of Matheny’s arguments really strike at the core of Sorenson’s theory. He comes away more convinced of its soundness, and we are blessed with a useful supplement to his wonderful book, An Ancient American Setting for the Book of Mormon. Matthew Roper, “A More Perfect Priority?” a review of Brent Lee Metcalf, “The Priority of Mosiah: A Prelude to Book of Mormon Exegesis,” in Metcalf, New Approaches, 395-444, pg. 362-378: Roper points out that Metcalf is not really arguing for the “Mosiah first” translation theory, but rather a theory of Mosiah first authorship. Metcalf does this by trying to show that the theology of the small plates (the “replacement text” as Metcalf calls it) is more consistent with the post-Christ era of the rest of the record. Roper addresses some of Metcalf’s arguments and shows that the differences are generally overstated or not existent. Richard Lloyd Anderson, “The Modern Text Theory,” a review of Mark D. Thomas, “A Rhetorical Approach to the Book of Mormon: Rediscovering Nephite Sacramental Language,” in Metcalf, New Approaches,53-89, pg. 379-417: Anderson examines Thomas’s parallel’s and rhetorical analysis and determines that they are both deceptive and shallow. Anderson compares Thomas’s approach to calling two completely different buildings the same or similar simply because the same kind of bricks were used in building them. Anderson also responds to Thomas’s critique of Anderson’s own work regarding the sacrament prayers. Martin S. Tanner, “Is There Anti-Universalist Rhetoric in the Book of Mormon?,” a review of Dan Vogel, “Anti-Universalist Rhetoric in the Book of Mormon,” in Metcalf, New Approaches, 21-52, pg.418-433: Tanner shows that none of Vogel’s examples are tailor-made critiques of nineteenth century Universalism. In addition, Tanner discusses various flaws in Vogel’s analysis, methodology, and logic. William J. Hamblin, “An Apologist for the Critics: Brent Lee Metcalf’s Assumptions and Methodologies,” a review of Brent Lee Metcalf, “Apologetic and Critical Assumptions about Book of Mormon Historicity,” Dialogue 26/3 (Fall 1993): 154-184, pg. 434-523: In what is the longest review in this volume (which is impressive, considering several of the reviews in this issue are over 50 pages long), Hamblin gives us the only review that is not in response to New Approaches. Well, kind of. Hamblin is responding to an essay of Metcalf’s published in Dialogue which, in essence, discusses the assumptions and methodologies that are at the foundation of New Approaches. Ironically, in what is supposed to be a critique of assumptions and methodologies used by “apologists,” Hamblin finds numerous examples of unexamined assumptions and problematic methodologies, along with several instances of logical fallacies. Hamblin concludes that Metcalf’s article is confused and incoherent. For my own future reference, I note that one section of this review is a useful resource on the eyewitness descriptions of the Book of Mormon plates. Daniel C. Peterson, “Text and Context,” pg. 524-562: Rather than offering extended remarks in his Editor’s Introduction, Peterson provides this essay at the end of this extended review of New Approaches. Peterson seeks to provide context to the discussion by talking about the personality, ideology, and character of Metcalf, as well as some of the contributors, and of Signature Books. Peterson addresses charges of FARMS ad hominem attacks and notes that sometimes background information about the people who make an argument (Peterson is careful to point out, however, that even when it is relevant, it does not replace serious examination of the arguments themselves, only that is helps provide a context from which to evaluate and judge said arguments). Peterson also notes the inconsistency of some of the contributors who would have a nineteenth century Book of Mormon that is still “scripture,” and the disingenuous language of other contributors who have abandon faith altogether, but yet still speak of “prophets” and “inspiration” or “spirituality,” without disclosing that such terms have undergone a serious naturalistic redefinition. While some details in these essays are now out of date as some new discoveries have been made, some new research completed, etc., one thing that most impressed with this issue is how little has changed since 1994. The Book of Mormon debates remain in essentially the same state today as they were then, close to twenty years ago. With the exception of the DNA attack from about ten years ago, no new, original arguments have entered the debate. Both sides continue to make the same arguments today, though in some instances they have been refined a little. Because so little has changed, pretty much this whole issue remains must-read material – and not just for the sake of understanding previously covered ground. Much of the work here remains useful.